Hi! 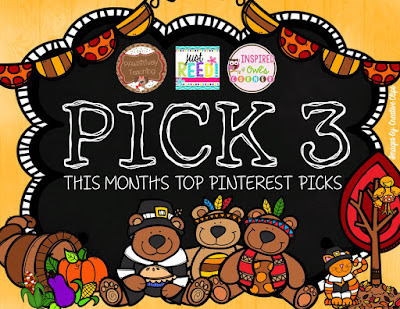 I am here linking up with Pawsitively Teaching & Inspired Owl's Corner for their November Pinterest Pick 3! I am really excited about this cute linky party! This link up is all about cute November Pinterest inspired activities to do with (or without) your kiddos!! First up is a cute little art project! This blog is in Italian, but you get the jist! Cute kiddos making cute fall art! All you need is come Q-Tips and some basic paint colors. Math Fact Turkeys are all the rage right now... in first grade. This will for sure be an activity that we do at least once, if not twice [both addition and subtraction... or maybe fact families!]. These come out SO cute and we will put them up in our room! 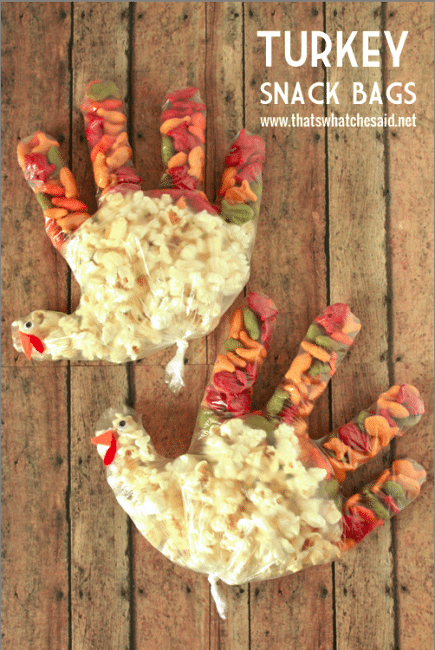 These cute little snack bags may be what were having as a snack that last day before break! SO cute! So easy! The kiddos would LOVE these! If you're searching for more great ideas check out and follow my Pinterest feed!! 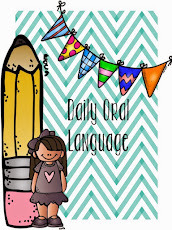 Visit Coffee and Curriculum's profile on Pinterest.